Guarantee an open and fair competition within Europe and with the world to foster a genuine internal recycling market. EuRIC also advocates positive measures to ensure a consistent implementation of existing legislation across Europe. The European Parliament’s ENVI Committee voted on 24 January 2017 on hundreds of amendments tabled on the proposals reviewing the waste legislation. The vote resulted in certain improvements supported by the European Recycling Industries Confederation (EuRIC). Nevertheless, recyclers regret that overall, on key issues, the outcome of the vote will impede the shift from a linear to a circular economy, if not corrected during the vote in plenary session. This document summarises the shared opinion of some key players in the plastics materials recycling sector from complex wastes of durable products such as End-of-Life Vehicles (ELV’s) and Waste of Electrical and Electronic Equipment (WEEE) concerning the market drivers for change needed to promote a transition towards a ‘true’ circular materials economy in the industry. Leading federations representing the paper value chain call for the co-legislators to support the further increase of paper recycling and safeguard the “quantity” criterion in the definition of municipal waste. EuRIC urges the European Commission and the Technical Adaptation Committee (TAC) to refrain from approving any proposal and regulatory changes relying on chemical analysis for the assessment of the ecotoxic property of waste HP 14 applicable to fluff-light fraction and dust from shredding of metal containing waste (19 10 03*/19 10 04) until a proper harmonized method fit for the purpose of characterising complex solid waste streams is set up. European industry organisations representing waste electrical and electronic equipment (WEEE) repair, re-use and recycling operators and environmental non-governmental organisations, call on the European Commission to speed up the process aimed at implementing Article 15 of the WEEE Directive 2012/19/EU. Supporting the cooperation with EEE manufacturers in order to develop fit for purpose measures. EuRIC proposals, based on the inputs of experts from companies recycling Waste of electrical and electronic equipment (WEEE) as well as from Members’ Recycling Federations, aim at supporting the implementation of the actions foreseen by the European Union in the field of eco-design and the cooperation with manufacturers in order to improve sustainable design and manufacturing of products. EuRIC and FEAD stress that the revised version of the “Paper for Recycling Control Guidelines”, which they did not co-sign, do not bind their Members’ Associations or the waste management and recycling companies they represent. EuRIC expressed strong concerns that the outcomes of the “Study to assess the impacts of different classification approaches for hazard property "HP 14" on selected waste streams”, to be used as a basis for amending Annex III of the Waste Framework Directive (WFD), will adversely impact recycling. 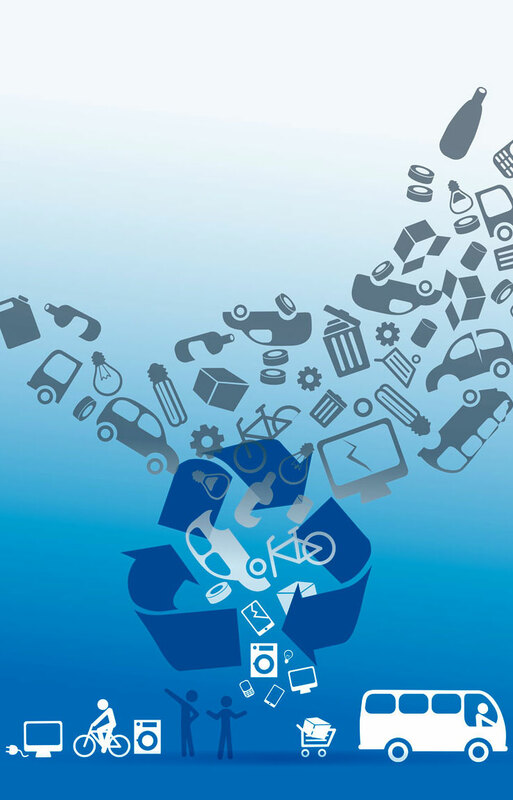 EuRIC and FEAD call for more emphasis on the demand side in the Commission Circular Economy proposals. For a Circular Economy to work in practice, waste which cannot be prevented must be capable of being recovered as a useful resource in line with the waste hierarchy. This will only happen if the recovery of those waste resources is economically viable at prices which reflect the true cost of collecting them, sorting them, recycling and marketing them to end users. It is therefore key to reward the environmental benefits of recycling and level the playing field with virgin materials. This joint statement includes a number of concrete pull measures needed to boost the use of secondary raw materials for a sustainable economy.